An analyst is arguing that Apple will completely discontinue the iPhone X this year, owing to a lack of consumer interest at the high-end. That's a highly questionable claim, even if one assumes demand isn't as strong as Apple expected. Oversupply at Apple processor maker TSMC — which recently posted a disappointing revenue forecast — "has never been higher," Mirabaud Securities' Neil Campling said in a recent memo seen by CNBC. From there Campling extrapolated that Apple isn't buying chips for future iPhone X production, and TSMC is burning off inventory, "because the iPhone X is dead." He blamed the situation on the $999-plus pricetag of the phone, suggesting that "consumers are turning their backs on high-priced smartphones." 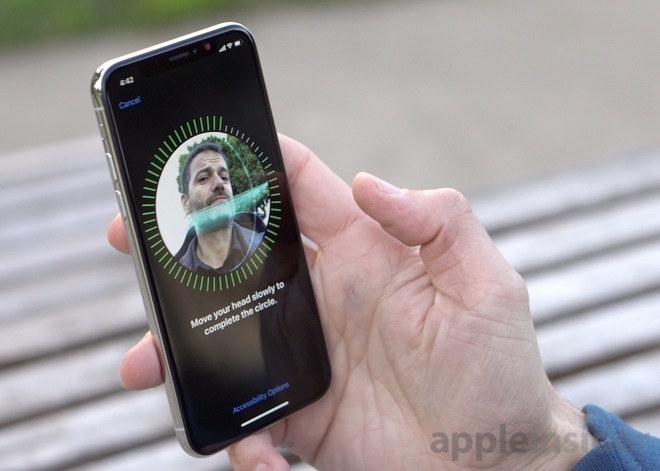 There are a number of issues with Campling's contentions, beginning with the fact that in a call for Apple's December-quarter results, CEO Tim Cook said that the iPhone X had become the company's most popular iPhone, and was even the best-selling smartphone in the world during the December period. Demand typically diminishes after the holiday shopping season, and it's conceivable that it may have fallen further still. But it would be virtually unprecedented for demand to fall so far, so fast, that Apple would decide to simply end production unexpectedly and rely on unsold inventory. It is possible that the cost of the iPhone X has put off some shoppers. It was never intended for every iPhone buyer, which is why Apple has an iPhone in every price point from $349 all the way to $1,149 at present. Apple might take steps to address that with upcoming devices in the fall. But to say the iPhone X is doomed on price alone is playing fast and loose with facts, because the company isn't alone on the top of the mountain. Samsung's Galaxy Note 8 starts at $950, and and a maxed-out Google Pixel 2 XL is $949. For people who utterly depend on their smartphone, the iPhone X may be worth it. On top of everything else, Campling's memo is ignoring other possible causes of oversupply at TSMC. Apple is a major customer, but it's not the only one of significance. Morgan Stanley analysts suggest that TSMC's revenue situation may be partly based on MediaTek, and lighter demand than expected for cryptocurrency mining ASICs. The only nugget of truth that can be mined is that the iPhone X as it stands may be a one-year phone. That may be the case, but the implication is that Apple will never go that high price-wise again because of market forces —and that's utter nonsense. Typically, Apple has kept the last year's pair of flagship iPhones on sale as mid-tier options for the cost-conscious. It looks like Apple could replace the iPhone X with a new trio of models, and make the iPhone 8 and iPhone 8 Plus its last-gen offerings. If that's the case, the iPhone X would be replaced with a rumored new 5.8-inch OLED iPhone. It's only April though, so it would still be early for Apple to end production on the current iPhone X, and there is zero indication that Apple has done so. Whatever the reality of the matter, we'll probably have to wait for this fall's iPhones to get a sense for how well the iPhone X did — that's when the company will show us by making the annual changes in its lineup.